Some websites almost design themselves. When you have beautiful, professional, well-lit photographs, combined with stunning landscape design, the web developer’s task is admittedly a lot easier! 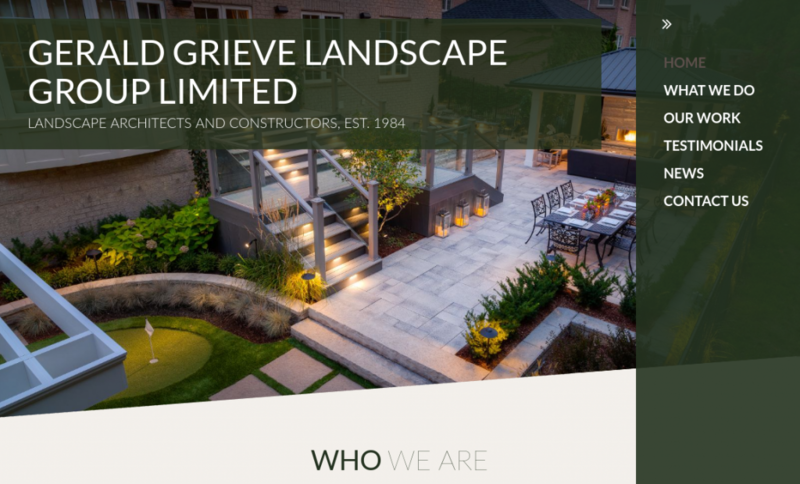 Congratulations to Gerald Grieve Landscape Group on their new website created by TRWA. Their old website used small images embedded in obsolete Flash media, and was impossible for them to edit without contacting a web developer to make changes. The new website is based on the WordPress Content Management System, and is fully under the control of GGLG staff to modify and update regularly.